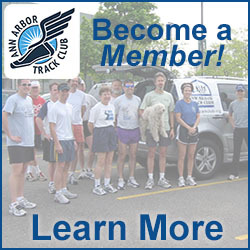 Year-round, the AATC hosts Tuesday night workouts. The workouts are coached interval workouts held on a 200 meter indoor track from November to March and a 400 meter outdoor track from April to October. 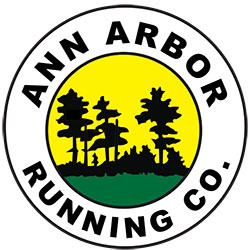 The only exceptions in 2019 are no workouts on January 1 and December 24 and 31, and we may meet in Gallup Park for a few workouts in June and July. See schedule below. During winter months we often also have a small group training for Shot Put. 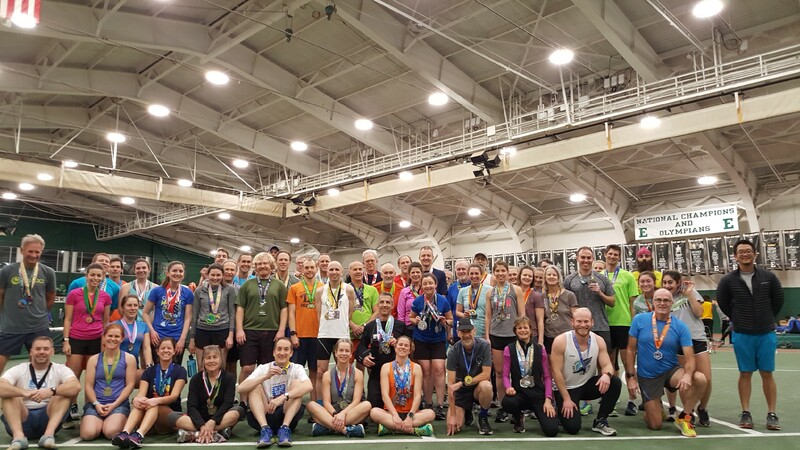 At the front are talented and dedicated athletes but just as much a part of the workouts are new and long-time participants that run for fun, to stay in shape, to get back into shape, or are training for an upcoming race. The interval workouts are short and intense, which many people enjoy as a nice change from their longer, slower runs during other days of the week. The total distance of hard intervals in a workout is about 5 km (3.1 miles). 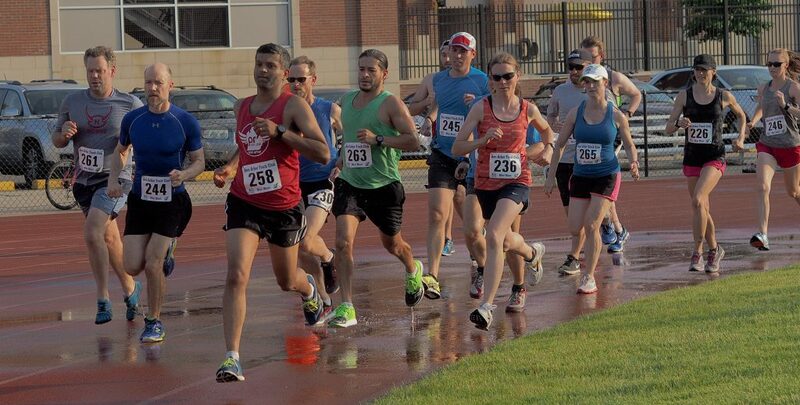 The workouts are designed to improve your 5k and shorter track races ranging from 400 meters to 2 miles. The workouts will also help runners targeting longer races like 10k, half marathon, or marathon, by improving leg turnover, form, and stamina. And whether you race or not, everyone enjoys the fitness and camaraderie of the workouts. If you join the workouts we ask that you follow the program described at the start of each workout and posted below. This is required for the safety of all participants and to make the organized workout possible. So if you haven't been to a Tuesday night workout - give it a try. Nobody is too slow or too fast. Outdoor workouts start April 2nd 2019. We meet on the UM Outdoor Track just off of State Street south of Hoover Avenue. Enter the gate north of Yost Arena and drive about 100 yards. 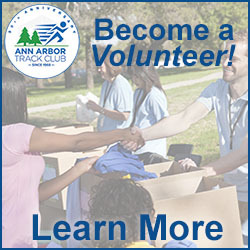 The address is 1150 S. State Street, Ann Arbor, MI 48104. 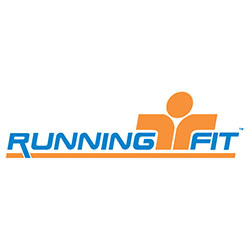 Participants warm up on their own starting at around 6:30 p.m. and the workout starts at 7:00 p.m. Workouts are scheduled for AATC members; non-members are welcome to take a test drive but should join the AATC if they enjoy the workouts and the club. For questions, contact Stani Bohac* (sbohac@umich.edu). Indoor workouts will begin November 5th 2019. 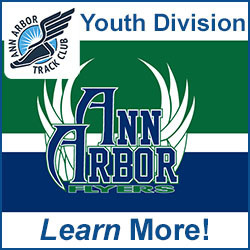 We will meet on the EMU Indoor Track in Bowen Field House on EMU's campus. From Washtenaw Ave turn north on Oakwood St, then turn right on Structure Dr and park in the surface lot (hourly payment required). Additional parking is available further north off of Oakwood St or further south near Oakwood and Washtenaw Ave. The track opens at 7:00 p.m. for participants to warm up. The workout starts at 7:30 p.m. The AATC will have use of the track from 7:00 p.m. until 8:30 p.m. The cost per session is $6 for members and $8 for non-members. Members have the option of buying a season pass for $50. Note that there will be no workouts on December 24th and 31st 2019 and a Mini Meet will take the place of a workout in January 2020. Scheduled workouts are shown below. * Stani Bohac (sbohac@umich.edu) has been an runner since high school. He runs for fun, competition, adventure and sometimes to put life back into perspective. He has been an AATC member since 2005 and has been coaching since 2007. He enjoys a variety of running disciplines including track workouts and trail running.